We have had some really cold weather here in the Palm Beach Gardens and Jupiter area for the last couple of days. Now, in all fairness, we are not dealing with lake effect snowfall that they get in Buffalo, or the mountains of snow that they have in Tahoe, but nevertheless, when you live in sunny, South Florida, temperatures plunging into the 30’s are a big deal. Although the skies are clear, playing golf and hitting the beach will have to wait. This cold weather never lasts more than a day or two. We had a hard frost in Jupiter Farms for the last two nights and of course the farmers in the western part of Palm Beach County are really worried about their crops. Even the national news is reporting on the strawberry farmers covering their crops with a sheet of ice to keep the temperature from dipping below 32 degrees on the fruit. Along the coast, though, we have some good effects from the cold weather. First, it makes the sailfish bite. And since we are a fishing capital, this is a good thing. In fact, Stuart, a town just to our north, calls itself the ‘Sailfish Capital of the World’. Pictures are being posted on Facebook this morning of fish being caught. The other good thing is that the cold weather turns the citrus sweet. Until we get some really cold weather, they aren’t good to eat. Cold Weather Is Good For Citrus! So now we will have fresh citrus earlier than last year. 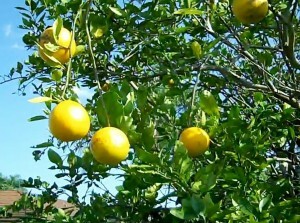 And we have plenty of citrus. Take a look at this shot below. This picture was taken at one of my listings in PGA National. 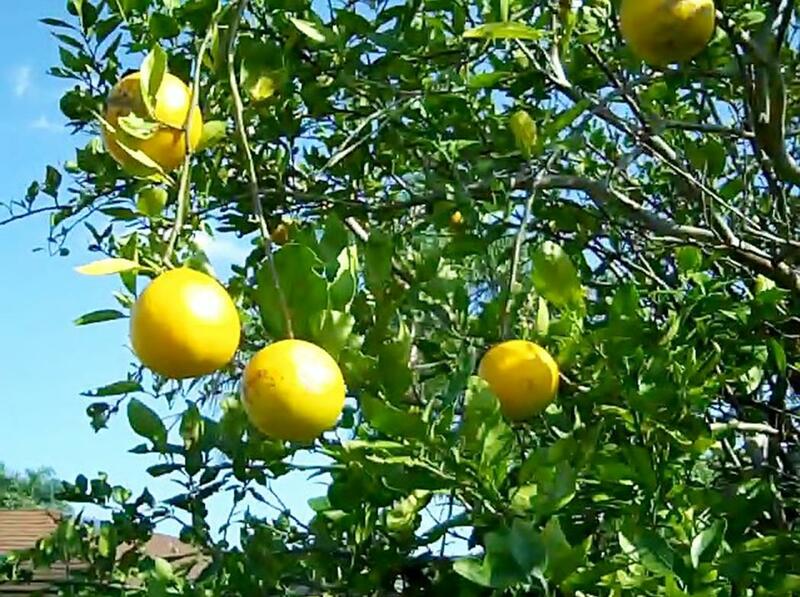 This tree is right in their backyard and is loaded with naval oranges. So, tonight the temperature will only be in the 40’s before warming up some more tomorrow. And once again golfers will be calling for tee times and the parking lots near the beach will be filling up. Posted in Abacoa homes for sale, Egret Landing homes for sale, Frenchmans Reserve homes for sale on December 8, 2010 at 11:14 am.